Want to touch it? CLICK HERE for free fabric swatches! The Gamer KloudSac is popular because of its versatility. Lay it flat as a large pillow or small bed, or turn it on its side to act as a comfortable recliner for gaming, watching TV, reading or just chilling out! Select fabric to view price.. Same day shipping before 1pm. See shipping times here. Our DreamFoam is guaranteed not to go flat for 10 years. Easy to clean, simply throw your cover in the wash. Available in durable faux fur, velvet, linen & outdoor fabrics. Our top grade blend of shredded foam creates crazy comfort. For extra strength and durability. Industrial zips, manufactured without tabs to Australian standards. We re-designed the bean bag using shredded furniture foam. The gamer is a great place to chill and of course game! Set up a couple and prepare for epic Playstation battles. Your KloudSac arrives compressed inside a box and starts to expand the moment you open it. Yes, the covers come off. This mean you can change them to suit your mood. How exciting! Oh, you can also wash them. The Gamer KloudSac is our most unique and versatile foam filled Sac. Designed for those who prefer to lay or recline whilst relaxing, the gamer is perfect for those up to 175cm tall who like to watch TV, read, or simply play video games. Alternatively, flip it over so it lays flat on the floor, and you have large floor pillow. Perfect for sleepovers when you need extra bedding to accommodate the kid tsunami! What other piece of compact furntiure can do that? Ideal as a compact chair in a lounge room, seating in a rumpus room, or front row seats in a cinema room, the Gamer KloudSac is versatile, and portable. Packed with 13kgs of premium grade shredded foam, and measuring 170cm long x 90cm wide when on its side, sinking into this Gamer KloudSac is like floating on a Kloud. Take comfort in knowing that with KloudSac, providing you with extreme comfort is what we’re all about. Not the same velvet you’ll find in your Nanna’s lounge room, this is a modern take on an olden day beauty. Developed with an 80/20 cotton/poly blend it provides increased durability as well as stain resistance and washability. The perfect fabric for those looking for a high end look that is easily maintained. Don’t let the softness fool you, our linen fabric is family friendly, stain and abrasion resistant. The slate grey cover with its Chenille blend creates a sophisticated texture that drapes brilliantly on a KloudSac. If you’re looking for something more hard wearing, then our courser and more rigid beige and charcoal linen fabrics are for you. These do not drape as well as the Slate Grey Cover, but for more rugged environments these are ideal. Wow! What a fantastic cover. Great for indoors and outdoors, this cover is durable, has a good water resistance, is machine washable and drapes beautifully over a KloudSac. A little harsher to touch than the furs, velvet’s and Slate Grey Linen, customers who purchase this cover love it for its durability. Our faux fur is made of 100% polyester fibres and designed to look just like the real thing. It is extremely stain resistant and very durable. From our long pile White and Brown shaggy furs, to our low pile Polar and super popular Stone Fur, these covers compliment such a wide variety of decors for your home. Dare to be different and pleasantly surprised. Our range of outdoor covers have been developed to suit the harsh Aussie conditions. Sooooooo much better than outdated exterior fabrics with a PV backing that break down and loose their water resistance over time, our fabric has been developed with the latest fabric technology, and best of all, is still machine washable. Breathable, fade resistant and water resistant, these covers are the must have for your Alfresco or outdoor areas. All KloudSac fabrics have been tested to minimise stretch. Many are bonded with a soft polyester mesh to prevent stretch, add extra durability, and keep your KloudSac looking great year after year. can use this tracking number on the respective courier site to track the progress of your delivery. 2 kids love it. So much better then beans. Worth the extra in delivery to North Qld. Lived up to the hype! I may need to buy a second one as my partner now wants to sit in it. Perfect for gaming. So comfortable. Love love love this. Thank you! 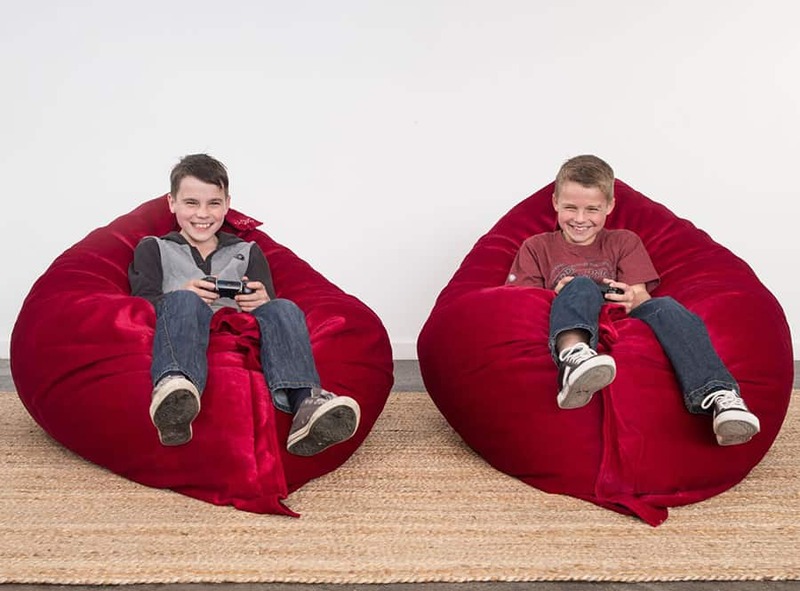 My dd has sensory processing disorder, so we were looking for a large bean bag that could meet her needs. After coming across the 'foam bag' version from KloudSac, spoke to a wonderful rep who sent me some fabric samples for my dd to touch. Placed an order and the bag arrived promptly for Christmas. My dd loves the size and fabric softness. It does take 72hrs as they state to achieve max loft, so patience required. A few foam pieces feel very hard which does affect my dd (seems like some hard remnants got in the bag), but overall, highly recommend. Fantastically cosy and comfortable, my son loves it ! Receive an extra $20 off your total order on selected foam filled KloudSac purchased within the next 7 days. Enter your email to have the discount code sent directly to your inbox. Only available on the KloudSac Urban, Mondo, Grande, & Lounge models. Here is your $20 coupon to use on any foam filled KloudSac. Only available on the KloudSac Kids, Urban, Mondo, Grande, Lounge, Gamer & Supersub models. Get FREE fabric samples delivered directly to your door. Now you can easily pick your favourite, and see for yourself the quality of KloudSac fabric's.